Hall of Famer Kareem Abdul-Jabbar's own collection of memorabilia sold for nearly $3million at auction. Four of Abdul-Jabbar's six NBA championships rings were available, with his 1987 Los Angeles Lakers ring sold for the most at $398,937.50 on Sunday. The six-time MVP's 1985 ring went for $343,700 via Goldin Auctions, followed by a game used and signed ball from his final regular-season NBA game in 1989, which fetched $270,050. In a blog post last month, 71-year-old Abdul-Jabbar explained why he was auctioning off items from his decorated professional career. "Why then am I auctioning off my sports memorabilia? I've been a collector most of my life. When I was in high school and broke, I collected books that I loved: The Adventures of Sherlock Holmes, The Three Musketeers, The Count of Monte Cristo, and all the other adventure stories that made me envision an exciting life beyond the confines of my New York City housing project," he said. "That's basically what any collector hopes to achieve, regardless of what they are collecting: a window into an exotic world that is different than their own. Whether it’s baseball cards, Barbie dolls, or fancy watches, each item in the collection comes with a story, and that story is more valuable to the collector than the item itself." 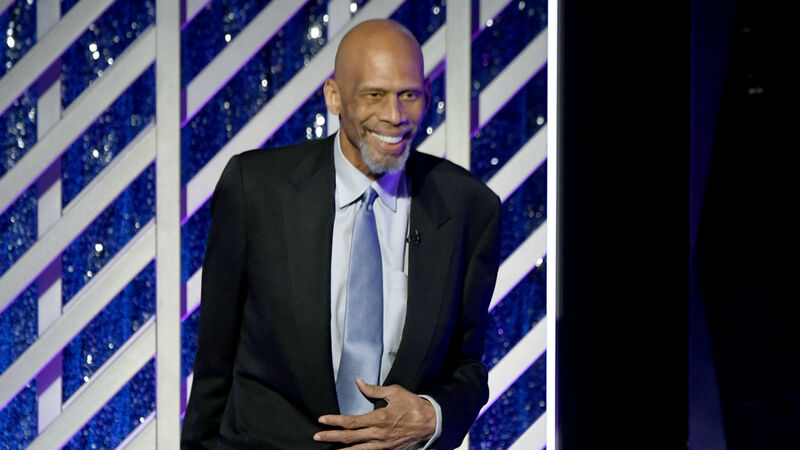 Abdul-Jabbar, who has been open about his financial setbacks in the past, said most of the money will benefit his charity – the Skyhook Foundation. Among the items that were available were the rings from his title wins with the Lakers in 1980, 1985, 1987 and 1988. The rings from his first two titles with the Milwaukee Bucks in 1971 and then the Lakers in 1982, were not listed. He also auctioned off eight of his All-Star rings and 15 trophies, including his 1964 Catholic High School Athletic All City title, his NBA MVP trophies and the 1999 Player of the Century award. Abdul-Jabbar took to Twitter in the last hour of the auction, and said it was "stirring up a lot of memories." My auction is stirring up a lot of memories for me. ⁦@MagicJohnson⁩ was a special part of my NBA life for so long & we created a magical legacy together. This is a special item to me. 1 hour left to bid!!! Along with his six MVP awards, Abdul-Jabbar is also a 19-time All-Star, a 10-time All-NBA First Team member and the NBA's all-time leader in points scored. He averaged 24.6 points, 11.2 rebounds and 2.5 blocks per game for his career.